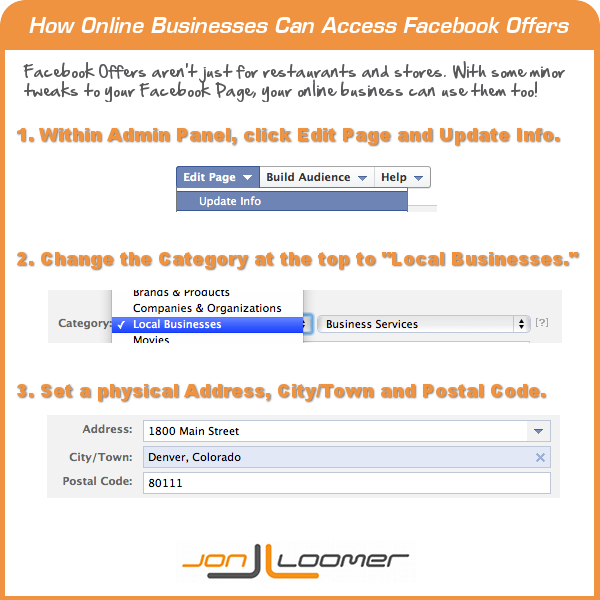 Have an online business and want access to Facebook Offers? It’s easier than you think. If you’re a consultant, blogger or other online business owner, you’ve probably been jealous that only restaurants and retail stores have had access to Facebook Offers. It’s a great way to generate some viral buzz, and you’ve been left in the dark. Within Admin Panel, click Edit Page and Update Info. Set a physical Address, City/Town and Postal Code. I know what you’re thinking. “I don’t have a physical address, and I’m sure not giving my home address!” It’s okay, we’ll eventually get around that. First, provide your home address or something that will allow Facebook to pick up where you are on a map. Select the checkbox to allow Facebook to generate a map for you on your Facebook Page (you may want to experiment with unchecking this, but I allow it). You may get some errors along the way, but it still worked for me. Now when you create a post from your Facebook Page, the third option will be Offer, Event+. For more information on how to create a Facebook Offer, read this blog post: How to Create Facebook Offers. Now, since your business is done online, you’ll need to get creative. When a user claims a Facebook Offer, they are sent an email by Facebook with a confirmation. Typically, they would take that confirmation to your store. You will need to make sure it’s clear that customers should forward the Offer confirmation to a specified email address. You can do this in the description of the Offer, in the Terms and Conditions and in the Comments. There are some exciting opportunities for businesses big and small to leverage Facebook Offers. Read the following blog post I wrote that provides a few ideas: 5 Creative Uses of Facebook Offers for Businesses. Whether you are an online or offline business, you have something of value that you can “offer.” It could be 50% off on consulting services or a discounted price for your eBook. Whatever it is, make sure it’s a good deal. You may even want to significantly limit availability. Scarcity is a good way to increase perception of value. So maybe launch an Offer once per week at an unspecified time that will only be available to one person. Maybe even make that Offer free! 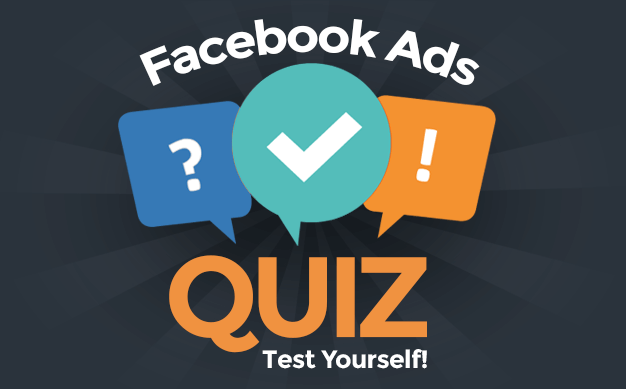 How Will You Use Facebook Offers? I know that I’m excited to use Facebook Offers for my online business. How will you use them? Let me know in the comments below!